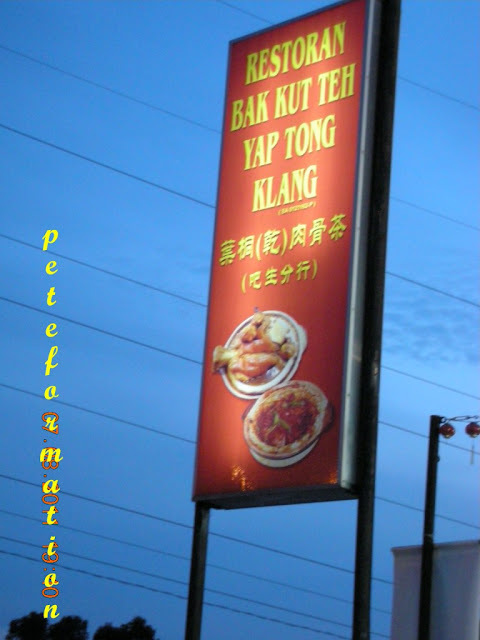 This Yap Tong Klang Bak Kut Teh﻿ branch is located in Desa Aman Puri, Kepong. It occupies a shop lot, which is on the same row as Kpoh Restaurant, Khuntai and MCY Restaurant. 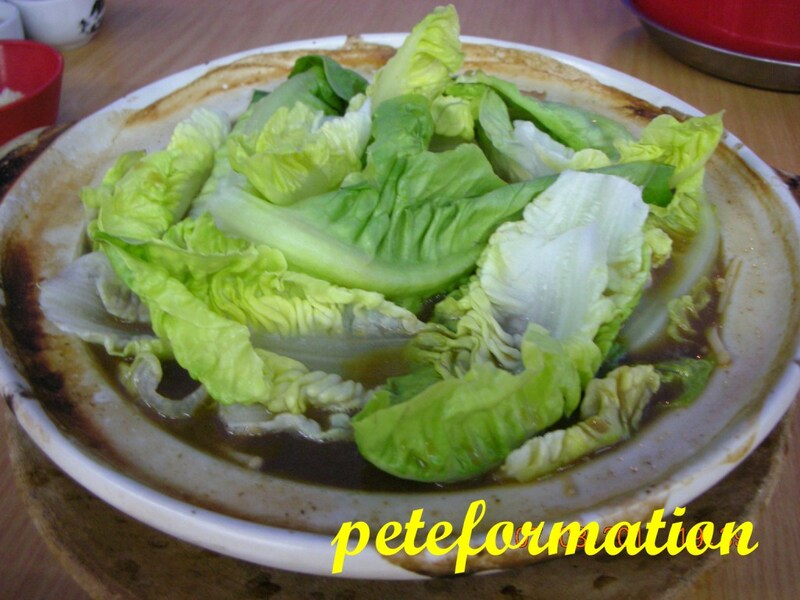 We ordered a pot of bak kut teh for 2 persons with extra Romaine Lettuce toppings and Kam Cham Ku (straw mushroom). My daughter loves Yau Char Kwai, so I ordered a bowl for her. As for the bak kut teh, I requested for pork ribs and lean meat because my kids don't take innards like instestine and all the other 'spare parts' stuff. This is a typical Klang type bak kut teh with dark and flavourful soup. The spice and herbal combination for this bowl of bak kut teh is just right and I love the taste very much. The ribs and meat are very tender. The meat taste really good with chopped garlic in chili padi (bird eye chili) and light soya sauce. Taste delicious till the last drop! LOL! Business Hours: Mon - Fri, 10am - 2.30pm & 6pm - 9.30pm. It has been quite sometimes that I stopped taking Bak Kut Teh. I scared of its fat, but I know you can afford to have it everyday. I love yau char kwai, kam cham ku, pork ribs and lean meat, just like your daugther. So next time I tag along, can? Is Romaine lettuce = yau mak? I like yau mak :D Ok, basically all ngam my taste. Nowadays everywhere also has good Klang BKT. can't see anything but only the vege!! 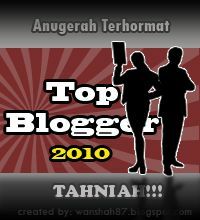 anyway, i love those vege, they looks fresh and crispy..
Next, I will see this in small kucing's blog.. hehehee.. I'm a big fan of Ba Kut Teh... gonna give it a try one of these days!